All websites around the world are written in some form of markup language such as HTML, XHTML, XML, etc. This enables the developer to include any form of text or multimedia features and integrate them seamlessly in the website. 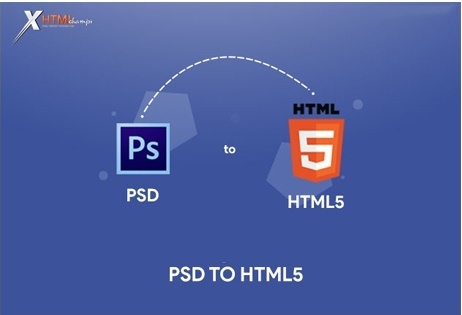 PSD to HTML conversion allows the web designer to program any website, however grammatically incorrect it may be, and create it with the required intent. SEO friendly and better analytics. Enables you to stay ahead of competition. So the first step of laying the foundation for your website would begin with conversion of static PSD files into HTML. In simple terms, slicing PSD or Photoshop files into the web friendly HTML codes results in the creation of interactive and dynamic websites for the business. The effective functioning of a website would begin at the perfection of HTML codes written at the foundation level of building the website. A search engine is already entrusted with the task of searching for optimal keywords in your website and aiding accordingly during the search process. Typically in the case of errors on the web page, browsers try to compensate it in various ways. Either the broken elements are ignored or assumptions are made upon what the designers intended to achieve. This way there is a good chance on you losing out on indexing of the web page appropriately. Html is the direction to head if you are working on a reduced budget but still are targeting reach irrespective of cross-device codebase. HTML does not however provide you with complex data processing inside the app; one of the key features that will be noticeably slower than a native app. HTML5 based applications lead the pack; the wisest choice to power your mobile applications with!